Your personal fitness, strength and mobility. If you have a bad back and want to avoid bending over for instance you might choose to go for an upright as opposed to a canister. Is this your main vacuum or supplementary? You may be looking to supplement the upright with something more handy for quick clean ups and vacuuming the car. Once you've had a refresher on the different vacuum cleaner types set aside 10 minutes to read through this Ultimate Vacuum Buying Guide before going shopping! 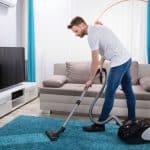 This vacuum buying guide provides detailed advice on vacuum cleaner design, the features and accessories, performance, life span and warranty. If you're sitting comfortably and ready for more then read on! The decisions that you make on the following key aspects of a vacuum cleaner’s design as well as your budget will have a major influence on the model and brand that you choose. By considering your requirements for the key design options and how much you want to spend you will be able to easily narrow the choice down to a vacuum that is most appropriate for you. 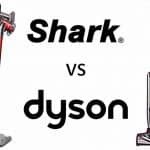 Whether the price of a vacuum cleaner is a primary purchase consideration will vary depending on the household, however for some it will be a major factor. 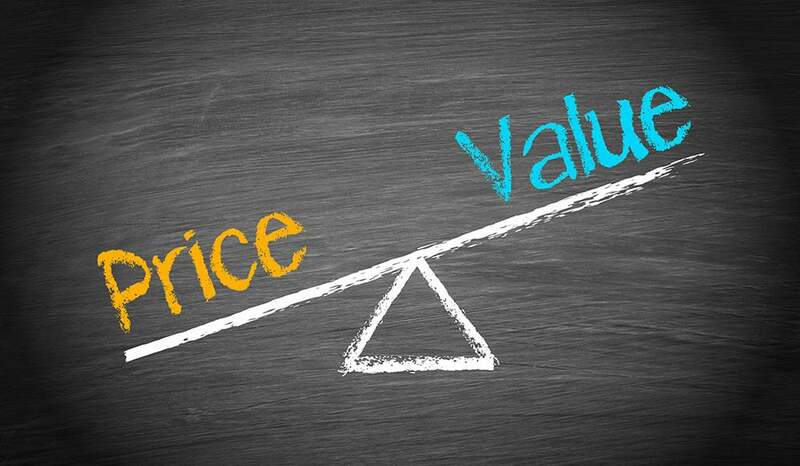 As the saying goes, “you get what you pay for” we are often led to believe that you cannot buy good quality without paying a high price. This is often not the case with vacuum cleaners and price doesn't necessarily reflect quality. Vacuum cleaners range in price hugely these days from as little as $30 to over $1000 and it is possible to find good quality at the lower end of the scale with lots of features. On the other hand if price is less of an issue than other requirements such as having a vacuum that is best for reducing allergy and asthma symptoms in the home then by paying more you can get the best Certified Sealed HEPA filtration system. Likewise, it can often be good value for money in the long run if you can afford to spend more upfront and put that money to good use by upscaling on attributes such as build quality, durability and warranty. Simply put, bagged vacuums have a dust-bag inside the main compartment which captures the dust and dirt as you clean. Air travels directly from the suction hose straight through the bag, through the motor and filters and out through the exhaust of the machine. Depending on the type of bag you use it can either be thrown away when full or emptied and replaced. Either way there is an ongoing cost of replacement bags for bagged units, which needs to be considered and the best bags don’t come cheap. The quality of the bags make a difference to the performance of the vacuum cleaner. Modern, good quality bagged machines have anti-clog bags, which reduce the risk of the bag being clogged with dirt and thereby reducing the suction power of your cleaner. Cheaper bags will clog when they become full and suction will reduce. 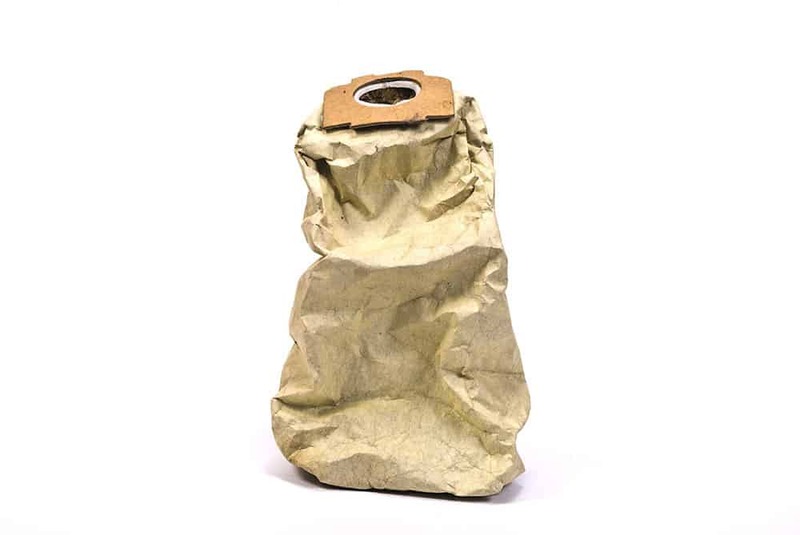 The bags are providing filtration of the air exhausted back into the house and therefore the quality of the filtration is linked to the quality of the bag. Miele and SEBO vacuums are widely renowned as the best quality bagged cleaners money can buy and their bags all contain several finely graduated layers of filtration. Filtration within the bag can also reduce smells that are returned to the air through the exhaust. Supporters of bagged cleaners argue that they are more hygenic and allergy friendly than their bagless counterparts. This is based on the argument that there is more risk of dust being released into the air when emptying a bagless vacuum, which is a problem if you have allergies to dust. The best dust bags provide automatic closing once removed from the vacuum so that no dust escapes. Bagged vacuums also tend to be quieter than baggless units, although this again comes down to the particular model you are looking at but it is worth keeping in mind. There are two types of bagless vacuum cleaner - filtered and cyclonic. Filtered bagless vacuum cleaners rely on a filter located within the dust canister to trap the dirt. Cyclonic bagless vacuum cleaners use the power of cyclonic action to separate the dirt from the air and trap it in the canister without the use of a filter. Cyclonic bagless vacuums are generally more efficient and provide superior performance than filtered bagless vacuums. Cyclonic cleaners separate the dust from the air in a detachable cylindrical collection vessel or bin. Air and dust are sucked at high speed into the collection vessel at a direction tangential to the vessel wall, creating a fast-spinning vortex. The dust particles and other debris move to the outside of the vessel by centrifugal force, where they fall due to gravity. The cleaned air from the center of the vortex is expelled from the machine after passing through a number of successively finer filters at the top of the container. The first filter is intended to trap particles which could damage the subsequent filters that remove fine dust particles. The filters must regularly be cleaned and usually replaced every 12 months to ensure that the machine continues to perform efficiently. A well-designed cyclonic filtration system does not lose suction power due to airflow restriction, until the collection vessel is almost full. If you're considering a bagless cleaner be sure to take a look at the ones we've compiled in our Best Bagless Vacuum Reviews. So by now you know that the quality of the dust bag has a large part to play in terms of a vacuum's filtration performance. Filtration is important as dust particles in the air can cause major allergic and respiratory reactions as well as being a vehicle for the spread of airborne disease. You've likely heard of the regular allergens such as dust mites, pollen and animal dander and mould spores. This article provides some tips on dealing with these common allergens. If you have pets you will want a vacuum cleaner that is both good at picking up pet hair and also filtering out animal dander. Check out our Best Vacuum Cleaner for Pet Hair Reviews for some good options. These are silent contaminants that are released from materials found in the home and ride on the dust in the air you see and breathe. SVOCs are dangerous because they have no odor and can continue to build up in the home for years because of their continual, slow emission rate from sources. SVOCs can be particularly harmful for those who suffer from chronic illnesses or immune diseases, however they will put stress on anyone’s immune system. The good news is that regular use of a vacuum cleaner with a good (specifically, HEPA) filtration system can reduce SVOCs as well as other allergens in the home. The type of filter used and design of the filtration system is a key element in how effective the vacuum cleaner will be at removing these threats and the wrong choice could actually exacerbate allergy symptoms and asthma. 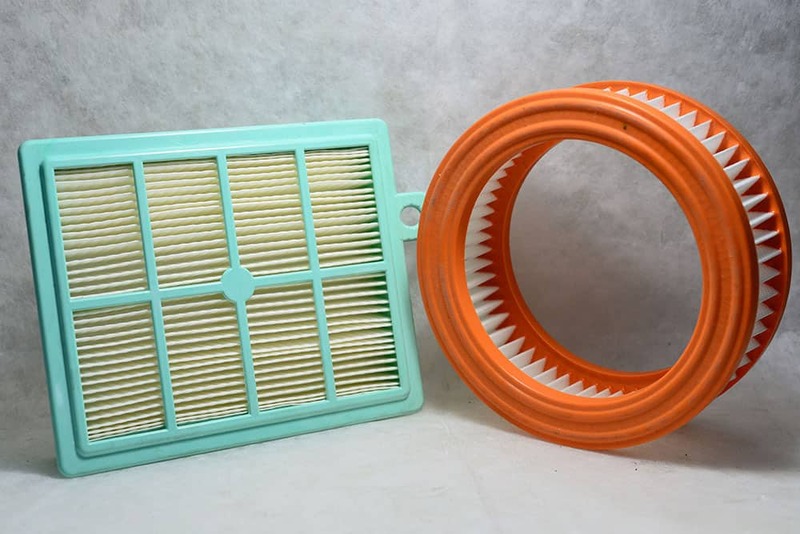 Cartridge filters may either be a primary or secondary filter and are usually disposable but can be cleaned a few times before they need replacing by simply tapping them to release the dust that has collected in the grooves. They are commonly a circular shaped plastic or rubber housing containing the cartridge medium such as pleated paper or polyester and are easy to remove and install. These are a secondary filter and often machine washable. It is handy to have a spare that can be used immediately whilst the dirty one is being washed and dried. These filters are less common in domestic vacuums and usually found in heavier duty commercial and industrial cleaners. They are a washable and long lasting type of filter. Disc filters look similar to coffee filters and are less common than the other types. They can be made from either paper, which are disposable or cloth, which are usually washable. 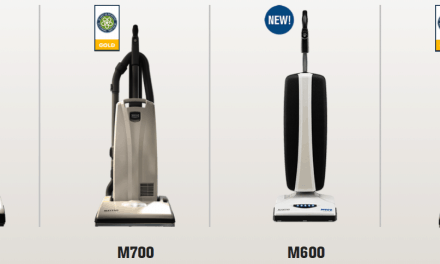 We highlighted the merits of HEPA filtration on vacuum cleaners in our recent article here. These filters are ideal if you have allergies or asthma as they must remove 99.97 per cent of particles that are 0.3 micrometers or larger in size in order to qualify to the HEPA standards. It’s important to ensure that the filters are genuine HEPA filters though and not “HEPA-like” or “HEPA-type”. Genuine HEPA filters must achieve the standard set by the US Dept of Energy (or in Europe EN 1822) to receive the HEPA designation and have to be independently tested to assess their ability to stop dust egress. The HEPA filter should be located in the vacuum cleaner "post motor" so as to ensure the air that is finally exhausted from the vacuum cleaner is allergen free. If the HEPA filter is to do its job successfully it is also crucial that the vacuum cleaner is a a "Certified Sealed" system (also called an abatement level vacuum), which ensures through the use of rubber gaskets that no particulates leak out at junctures where the bag, motor, hoses and nozzles connect. Only Certified Sealed HEPA vacuums are completely air-tight, so all air sucked through the machine passes through the filter and none escapes back into the air, providing the best filtration results possible. If you have pets and are concerned about pet smells in your home then a carbon filter would be a good choice. The Miele C3 Complete Cat & Dog, reviewed here is an example of a Certified Sealed System, with a carbon filter in lieu of a HEPA filter (other models are available in the Miele C3 range that provide HEPA certified sealed systems). As an alternative to the HEPA filter this filter still provides excellent particle retention of over 99.9% down to 0.5 microns. A carbon filter provides better performance with filtration of animal smells than a HEPA filter and so may be a better choice for animal lovers that do not have severe allergies! Micro-Fresh filters are filters that have been treated with non-hazardous chemicals that act to sterilise the air and remove bacteria and fungi spores. 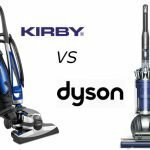 So how does a 12amp vacuum cleaner compare with a 1200watt vacuum cleaner? Everyone wants the most powerful vacuum cleaner they can afford, right? Power is a big marketing play by vacuum manufacturers and most vacuum cleaner specifications provide a power rating of some sort. This can be a confusing area when comparing vacuum cleaner performance as manufacturers don’t always quote the same units of measurement. All too often the numbers quoted can be misleading as to the overall performance of the cleaner as they do not tell the full story. Specifications can include watts, amps, volts, horsepower, air watts, and airflow. In all vacuum cleaners the airflow from the cleaning head or tool to the bag or bin and then out through the exhaust is created by the vacuum motor. When the fan(s) inside the vacuum motor spin, a partial vacuum is created and the pressure inside the vacuum cleaner drops below the ambient (or existing) air pressure in the room. This causes air outside the vacuum cleaner to be sucked through the vacuum cleaner taking all of the dirt and nasties with it. To put it simply, the more powerful the motor, the greater the pressure differential and therefore the more suction and airflow. This is why most vacuum cleaner specifications provide information that relates either directly or indirectly to the motor. Here is where the confusion starts. 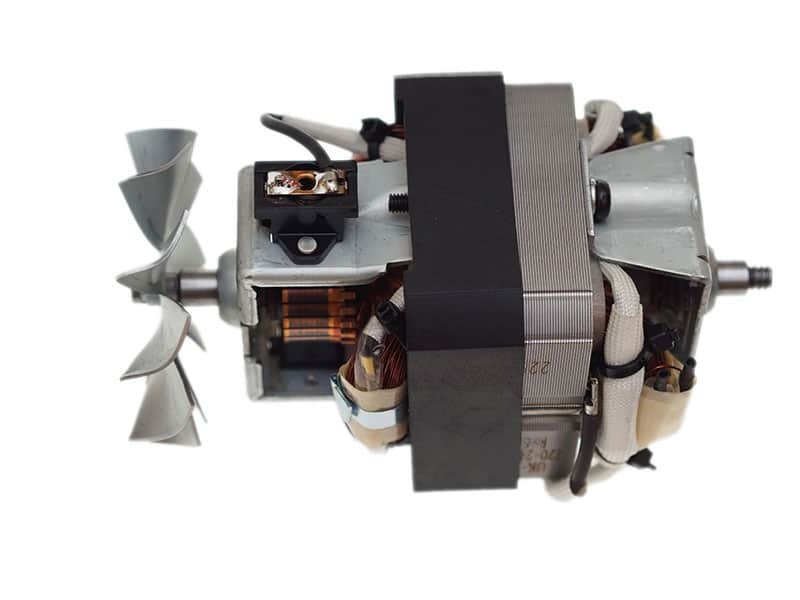 Specifications for components such as the motor do not necessarily relate to the performance of the entire vacuum cleaner, and therefore are only a part of the story. The input power of the vacuum motor is measured in watts, which is a valid way to evaluate and compare the power of the motor. Specifications also commonly rate vacuum cleaners in amps, which refers to the maximum amount of electrical current used by all of the electrical components when operating. The drawback with these ratings is that a vacuum cleaner’s wattage or amperage rating doesn't take into account the efficiency of the motor, the number of fans (two is not necessarily better than one) or the overall vacuum cleaner design. The performance of the vacuum in terms of suction power is down to much more than the power of the motor and so you shouldn’t read too much into these figures. Amperage ratings cannot be directly compared with wattage ratings. This can make it hard to compare across brands, however it is possible to convert amps to watts using the formula, amps x volts (120 in the US and Canada and 220-240 in the UK, Europe and Australia) = watts. By reversing this formula to watts/volts = amps, you can also convert watts to amps. By converting the units this will give a better indication of how differently rated vacuums compare. However, it is not an exact comparison of “apples with apples"! Vacuum cleaner specifications given in watts will only account for the power from the motor. Amperage ratings use the total electrical consumption of the vacuum cleaner including other power usage within the cleaner. This can include any secondary motors that might power the power nozzle, any headlights or indicator lights or display panels that are on the unit, etc. 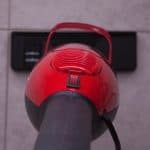 If you are comparing a vacuum cleaner rated in amps with one in watts you will therefore need to account for the additional power usage for these items. A vacuum cleaner rated as 12 amps that has a motorised power nozzle (which typically use 1.5 amps) is likely comparable to a vacuum cleaner rated as 1200 watts (1200/120 =10 amps). By subtracting the amperage of the power nozzle from the total rating of 12 amps (12-1.5=10.5 amps) this allows a more direct comparison with a vacuum cleaner’s specification that is given in watts and you have converted to amps. We can therefore better compare the rating of 10.5 amps for the motor and any lights compared to the 1200W converted rating of 10amps for just the motor. If the amperage on the vacuum cleaner specification is given only for the motor you will not have to make this allowance and it will allow a direct comparison with another cleaner’s wattage (once converted). Another useful specification to look for in a vacuum cleaner is the sealed suction, which is measured in inches of water lift. A measurement of how many inches the motor will vertically lift a 1" column of water is taken when the motor is completely sealed. This rating shows how much power the vacuum has to lift debris from the floor surface, which is then removed to the dust bag via airflow. The greater the rating, the better the ability to pick up debris such as sand and other soils from flooring. Water lift ratings also test the vacuum cleaner performance under air resistance from items within the vacuum such as loaded filters and filled dust bags. On canister vacuum cleaners a water lift of at least 90 inches is recommended. Upright vacuum cleaners generally do not provide water lift specifications. As we have outlined above, typical vacuum power specifications such as watts and amps measure the vacuum cleaner's input power. In recent years some vacuum cleaner manufacturers have attempted to rate the output power of their products, which is measured in units called air watts. Air watts are also commonly specified for central vacuum systems. The airwatt calculation takes into account air flow and suction and therefore gives an indication as to the efficiency of the motor. The formula used to compute air wattage differs between vacuum cleaner manufacturers. The standard airwatt formula comes from ASTM International (ASTM F558 - 13), who are the leading provider of vacuum cleaner testing protocols (for further information on vacuum cleaner standards and testing refer to our detailed article here). The problem with specifications for air watts as with those outlined above for watts, amps and water lift is that unless specifically stated otherwise they only relate to power from the motor. This will only give an indication to the potential performance of the vacuum cleaner. These numbers will mean nothing if the vacuum cleaner as a whole is not well designed. It is more important to understand what amount of suction and/or air flow is actually being delivered at the hose or down on the floor and this air flow is not the same as and should not be confused with air watts. The airflow of a vacuum cleaner is the main thing you want to know. If all vacuum cleaner specifications provided an airflow rating, life would be much simpler and it would be a straightforward task to compare the cleaning ability across different models. However, although an airflow rating is the best quantifiable measurement of the cleaning ability of a vacuum cleaner, it is not as common to see these provided by manufacturers as it is to see ratings in amps or watts. Airflow is usually measured in cubic feet per minute (CFM) and denotes the force of the airflow across a surface that picks up the dirt and moves it to the dust bag or container. Therefore, the more airflow, the better the cleaning ability of the vacuum cleaner. Airflow is an excellent specification because it takes into account both the power of the vacuum motor, which creates suction, as well as the resistance of the bag and filter system that this air must pass through. This is the most important specification to look for when choosing a vacuum cleaner. Airflow is generally measured through the vacuum cleaner without hose or attachments connected. The figure will not usually show how the airflow is affected by the hose and wands, or where the cleaning tool meets the floor or other surface, as well as how the cleaner is affected by the bag filling with dirt and filter loading. On canister vacuum cleaners airflow of 100 CFM or more is recommended. Only certain models of upright vacuum cleaners will provide airflow ratings (by-pass motor types) and a CFM of at least 60 is recommended. The weight of the vacuum cleaner is closely related to the type of cleaner with uprights being generally the heaviest units and stick units the lightest solutions. 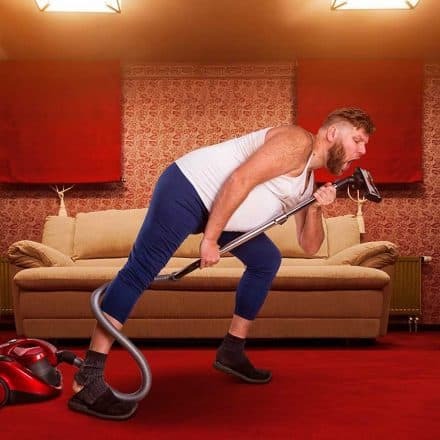 When determining the best vacuum cleaner type that is right for you, weight should therefore be one of the factors in your decision. However there is also a wide range of weights available for each vacuum cleaner type. So don't worry, if you think you need an upright but are concerned about weight you can still get something fairly light. If weight is an important factor for you then take a look at our best lightweight vacuum reviews - 5 of your top options. Very lightweight units are a popular secondary cleaner in many homes or even as a main cleaner in smaller homes. They can be pulled out quickly for those short on time and wanting to have a quick tidy up without the hassle of pulling out your main vacuum. Another factor to consider along with weight is the overall comfort and maneuverability of the unit. Take a good look at the handles on the unit and the design of the wheels: are the handles comfortable? Do the wheels look like they will provide a solid support that will last whilst providing a smooth, full 360 degree movement across a variety of floor types? Canisters generally offer the best maneuverability, however some upright models are now very flexible, e.g. the Shark navigato﻿r which features a head that lies flat so you can get underneath couches or beds. Some cleaners are very easy to move around but some can get stuck and don't swivel easily. This is where it's good to take a look at user feedback for the cleaner that you are considering. Likewise, some handles fit nicely into the hand and have a soft, padded comfort grip and there are models that include controls such as suction power adjustment right on the handle for convenience. If the vacuum is easy to move around and feels comfortable to use you are more likely to use it frequently and it will be a pleasure to use, versus one that feels like hard work and puts you off ever getting it out of the cupboard. 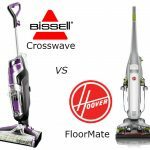 You need to decide if you want a cordless vacuum cleaner or one with a cable. This decision as well as the length of the cable affect the vacuum's maneuverability. Vacuum cleaner technology is improving all the time and there are some superbly powerful cordless vacuums available in the market right now. A cordless vacuum provides ultimate flexibility and convenience of use and if you're home is not too large then the vacuum technology is good enough now for this to be your main cleaner. Check out our best cordless vacuum reviews for 5 top choices to consider. If you have a larger home then you would be better served with a corded vacuum. Most vacuums these days come with retractable cords but the length of the cord varies so be sure to check the specification for this. Many vacuum specifications will provide the cord length and the flexible hose length, which will give you a total cleaning radius. You can use this information to determine if the vacuum is suitable, which will depend on the size of your home. The largest cleaning radius that you will see is around 36ft (10.973m), which you get with the Miele C3 canister models but most modern vacuums will provide at least 30ft (9.144m). The main type of cleaning tool on the cleaner needs to be selected based on your needs, which relates to the type of flooring to be cleaned and whether the home has pets. If you have pets then this should be a key factor in your choice of vacuum cleaner - check out our Best Vacuum Cleaner for Pet Hair Reviews for some good choices. For homes with a lot of carpet and particularly deeper pile carpet, you really need a special carpet vacuum cleaner with a brush roll as they do a better job of dislodging soils from carpets than suction alone. All uprights have brush rolls, however if you are looking at canisters for cleaning deep pile carpets and have pets, consider a “powerhead” or “power nozzle” which has a brush roll driven by an additional motor, which gives it extra power to reach deep into the carpet pile to remove the dirt. “Turbo heads” on canisters are not as powerful as a “power head” as they are purely air driven; that is the brush roll is powered by the airflow created by the canister's suction motor. This type of canister is a good choice when there is not a large percentage of carpet in the home or its is lower pile with only moderate (no pet hair). When looking at brush rolls, one thing to consider is the specific type of carpet that you have as this can influence the type of brush roll to choose. Some brush rolls contain beater bars, some brushes are extra stiff and some are softer. Deep pile, low density carpets such as shags and friezes for instance can require a softer brush roll and also a cleaner head with a manually adjustable cleaning height is a good choice if you have extensive deep pile carpets. Many vacuums advertised with "auto adjusting pile height" do not actually adjust in height and simply slide across the carpet via a skid plate. This relies on the density of the carpet itself to determine the lift setting, which is not a good solution. These vacuums do not know the actual length of the carpet yarns and vacuum the carpet at a "one size fits all" height. This can lead to excessive brushing of longer yarns and your carpet fuzzes out on the tips as a result. This relates to the height setting of the roller/brush. One of the functions of the beater bar element of a brush roll is to fluff loose any trapped yarns that are down in the carpet under other yarns. A beater bar will vibrate these yarns loose and allow the vacuum to pull them back up. Some cleaners also have the ability to turn off the brush roll and go into suction only mode, which can be useful if you have very delicate carpets that you don't want to agitate with a brush. 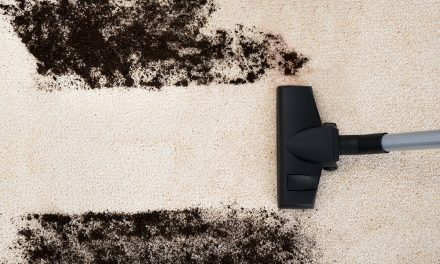 Some really high pile length carpets are special cases and can only be cleaned properly if you just use air suction only and no roller/brush or beater bar action at all. If you're relying on suction alone though for high pile carpets then you may need to rake for trapped yarns every so often! If this is you, look for a manually adjustable height brush roll with an on/off switch to turn it off so you have a choice of how best to clean and protect your high pile carpets. For vacuum cleaners with brush rolls that are specifically designed to care for your carpets we have taken advice from the Carpet & Rug Institute for advice. They actually certify vacuum cleaners that take the best care of carpets and we used this to select our favourite vacuums for different carpet types. The length of the flexible hose on canisters is an important specification, but this is also worth checking on uprights as well. Also consider the telescopic wand that comes with the unit as together with the hose these tools are key to determining the ease in which you can reach high places, furniture and floors. Look for overall cleaning radius in the vacuum specification, which will confirm how far you can reach with the hose and wand with the power cable fully extended. A good reach for a vacuum cleaner’s cable, hose and wand would be at least 30ft (9m). 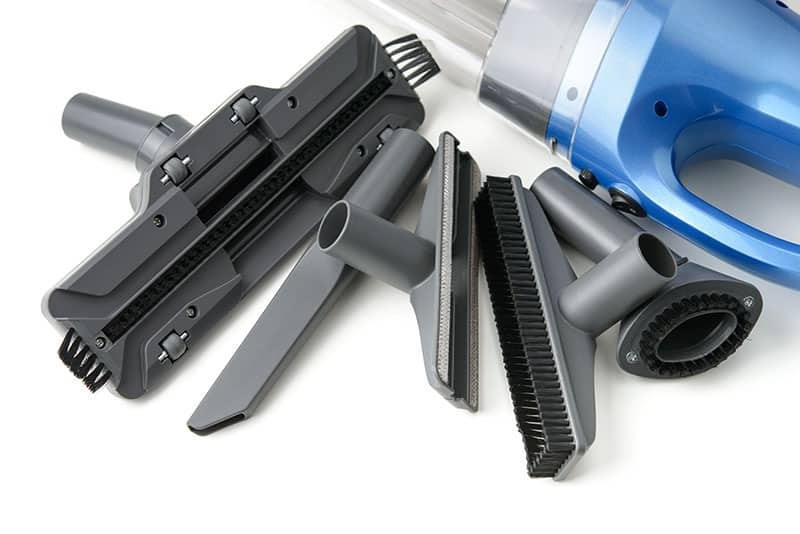 Aside from the main cleaning head on a vacuum, it is useful to have other secondary cleaning tools for cleaning furniture, ceiling corners and other hard to reach places. Options for these vary depending on the type of vacuum cleaner that you have decided on. There will be a set of tools that come with any vacuum cleaner as standard and some models sell additional tool attachments separately if required. Canisters generally have a better selection of tools than other types of cleaner, although the best modern uprights will also offer a good selection of tools to attach to their hoses. One thing to watch for is whether all of the tools attach directly to the base of the unit! If they don't you can guarantee you will forget to take them around the house with you and never have them ready to use when you need them! Some on board tool caddies are better than others as well so look for feedback about attachments falling off easily as this could be a frustration you want to avoid. If a good selection of tool attachments are important to you, a canister or upright is the way to go as cordless unit will not provide as many (or often any). It is possible to get very quiet powerful vacuum cleaners, which can make the cleaning process much nicer and if this the case you will be likely to pull it out more often. To reduce noise to a minimum vacuum cleaners need special insulating materials and better made motors and fans. The quietest mains powered cleaners are usually bagged canisters and the loudest are bagless uprights. 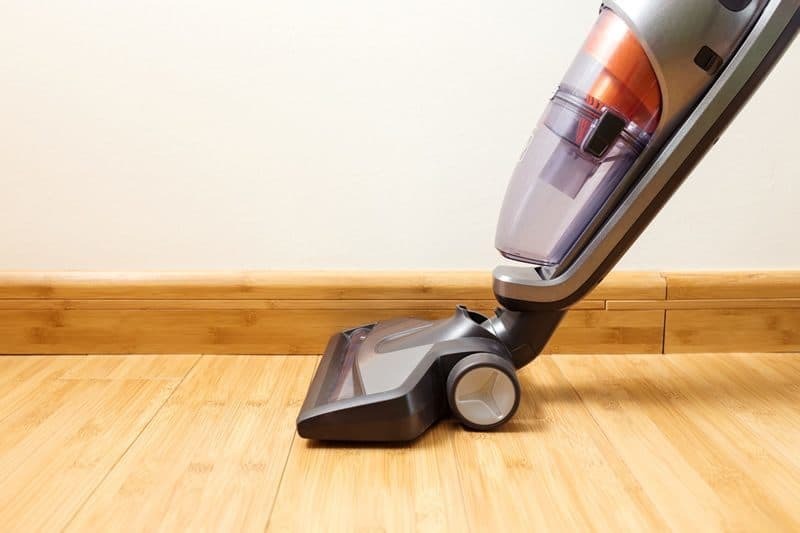 Bagless vacs are usually noisier because the motor is closer to the case of the product! The dust bags in bagged units can be designed to contain sounds by making use of innovative technologies that provide acoustic insulation, usually as well as better filtration!The more powerful the motors in a vacuum the more noise that will be produced and it is the design of the vacuum that determines how well this noise is dampened. A cheap cleaner will have much less attention to detail in this regard and will be much noisier as a result. 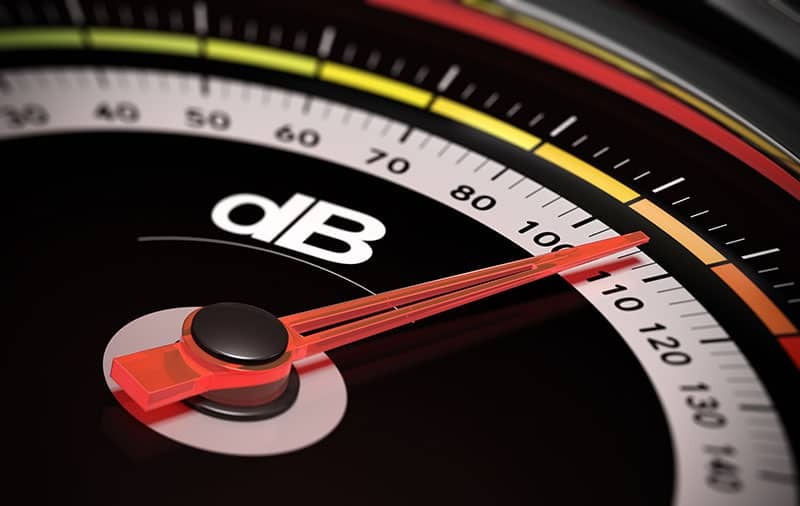 When checking vacuum cleaner specifications if you see a noise rating less than 70﻿dB this would be a fairly quiet cleaner and anything 65dB or less could be considered about as quiet as you can get without compromising on power. Battery operated cordless vacuums are quieter than mains powered units due to their lower power and lighter construction so could be a good option if you want a really light, quiet handy cleaner that is easy to just grab and go for busy people! You will be compromising on other aspects such as power, capacity and length of use but if noise as well as ease and convenience of use are a priority and you've not got a huge home then there are some fantastic options available that perform superbly. Capacity can be an important consideration for some people and particularly for those with large homes. Uprights generally have a greater capacity of their dust bags or bins than other cleaners, however Miele canisters also have large capacities. If you don't want to be emptying the dust bin every time you vacuum then you need to factor in capacity to your decision making. One of the benefits offered by Miele canisters for instance is a dust bag of around 1.2 gallons (C1 & C3 canisters), which is double the size of most normal canisters and even a lot of uprights. 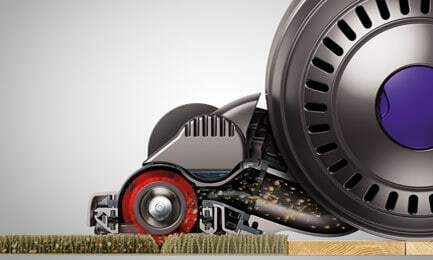 The capacity of your vacuum cleaner also has a role in terms of maintaining suction performance. Cleaners with larger dust bags will have better the airflow, and therefore, cleaning ability. This is especially true as the dust bag fills and smaller bags can quickly become clogged and lose suction. Checking out the warranty details for a vacuum cleaner can give you an insight into it’s durability and reliability. Many manufacturers offer a long warranty period just for the motor and a shorter period for all other parts so it's important to check what exactly is covered. Standard warranty period for a vacuum cleaner is 12 months, however the higher end vacuum cleaner manufacturers generally offer much longer. Miele offer up to 7-year warranty and there cleaners are built to last 20+years; Dyson offers 5-years on the majority of their models. When thinking about or researching warranty it's also good to know or get feedback on the manufacturers customer service team so you know how easy or difficult it may be to source a replacement or repair if things go wrong and you ever need to call on the warranty. Also watch out for vacuum cleaners that have the Good Housekeeping Seal of Approval, since this provides for 2 years warranty direct from the Good Housekeeping Institute, which may be better than that offered by the manufacturer themselves! Last but not least in our vacuum buying guide is a brief run-down on the additional features that are offered on different models of cleaner. Some are standard and you should be getting without paying anymore whilst others sit more toward the luxury category and not available on cheaper cleaners as well as entry models of higher end cleaners. Bag full indicator - fairly standard on bagged machines, although not all have them so worth checking for. Not usually found on bagless machines as you can just look through the clear dirt bin! Auto rewind cable - standard on canisters, not so on uprights, although many do have this excellent time saving feature. Air Volume Adjustment – standard on most canisters but not all uprights, this is a really necessary feature if you intend to use your accessory tools without sucking up the curtains. Manual Height Adjustment – as mentioned above, this is a useful and perhaps essential function if you have very deep pile carpets. This is different from automatic height adjustment, which aids in the transition between different floor types, which is useful but doesn't allow any form of control. Headlight - this festure is standard on all upright vacuum cleaners, positioned right on the front of the cleaning head and allows you to see and catch that dirt in those dark corners of the room. Edge Cleaner - This is a common feature found on a lot of cleaners and is really useful so it's worth checking for. It helps you to pick up all dirt from the area surrounding the cleaning head and so can save you the time for having to go back down the sides of walls with a different accessory tool. Hard Floor Options - Multi-floor cleaners usually have some sort of feature to allow for the different operation required between cleaning carpets and hard floors. This might be an on/off switch for the brush roll or a hard floor setting switch. Well if you are reading this far then I commend you! You have successfully completed The Ultimate Vacuum Buying Guide and are now fully qualified to make a well informed decision and get the best vacuum your money can buy. It really is a case of weighing up and ordering your priorities and then finding a vacuum within your budget that meets those priorities. Buying a vacuum cleaner can be a long term purchase if you spend wisely and it really is worth doing your research carefully before making the commitment to part with cash! So congratulations on completing our vacuum buying guide and good luck with your search! We hope you've enjoyed this vacuum buying guide and it's been informative and helpful. If you have any comments or suggestions on how we may improve the article then please feel free to get in touch. 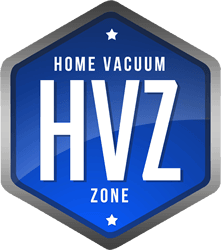 Home Vacuum Zone will update this page from time to time to ensure it is up to date with the very latest information and technology so it continues to be the Ultimate Vacuum Buying Guide on the internet!